have been a RN for a busy plastic surgeon’s private practice for over 8 years. We have always offered skin resurfacing, skin tightening, neurotoxins, and dermal fillers, but it wasn’t until this year that we offered non-surgical body contouring for our fat reduction patients. I’m sure to tell patients that the non-surgical route is not a “cheaper alternative” to liposuction, but rather, a “non-surgical alternative.” The price is comparable, because the advantages are significant. No downtime, no surgery, no recovery, no anesthesia. Many people are happy to pay a premium to avoid surgery. Though the results are delayed compared to the instant gratification we see with our other non-surgical services (the average patient is satisfied with their results 3 months after their first treatment), our clients have been very happy. Additionally, we have seen an average of 2 new patients per month come into the practice that have never been in before, and the average of their purchased packages is $5,000 each. Once they are in our treatment room, we have the opportunity to convert them to other procedures. We have many more men in the body contouring room, and many of these men have not been exposed to Botox, dermal fillers, or laser hair removal treatments. They are usually great candidates for all of our other services. Best of all, we are able to offer our existing patients a “one stop shop” for all of their cosmetic needs rather than sending them down the street. After meeting with several reps and looking into several options, our practice decided to go with CoolSculpting. Our rep made a great impression on our team, and he has been a valuable resource in moving forward with this service. It’s been almost a year since we’ve added CoolSculpting to our menu of services, and to commemorate the year, I’ve put together a list of 5 tips I utilize to increase CoolSculpting sales. We chose CoolSculpting and it has been great for us, but these strategies would work with any fat reduction system! 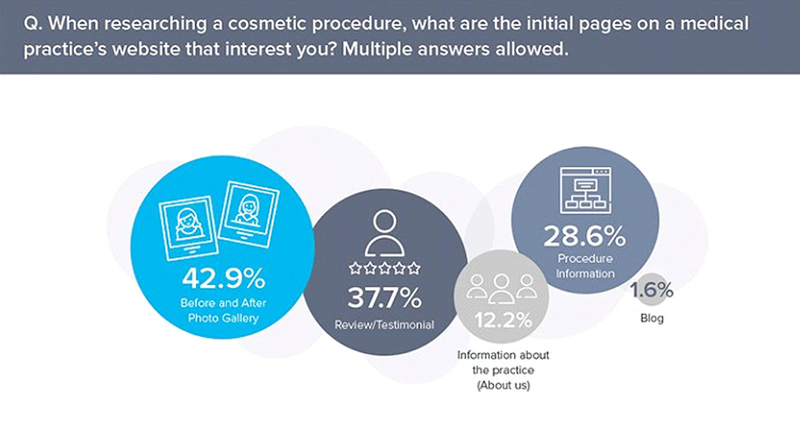 There are thousands of branded CoolSculpting photos online. When a patient browses the galleries, seeing the same patient at multiple practices is a giveaway that the practice lacks patients and experience. Having unique CoolSculpting before and after photos will set you apart and attract more patients. If you are new to CoolSculpting, the best way to increase visibility is to perform CoolSculpting treatments on every staff member. CoolSculpting reimburses the costs, and your staff will be grateful to work with perks. Their “payment” is consenting to show their before and after pictures on the practice’s website: a win-win for the practice and its staff. Of all the options out there, RxPhoto is my favorite for medical photography. 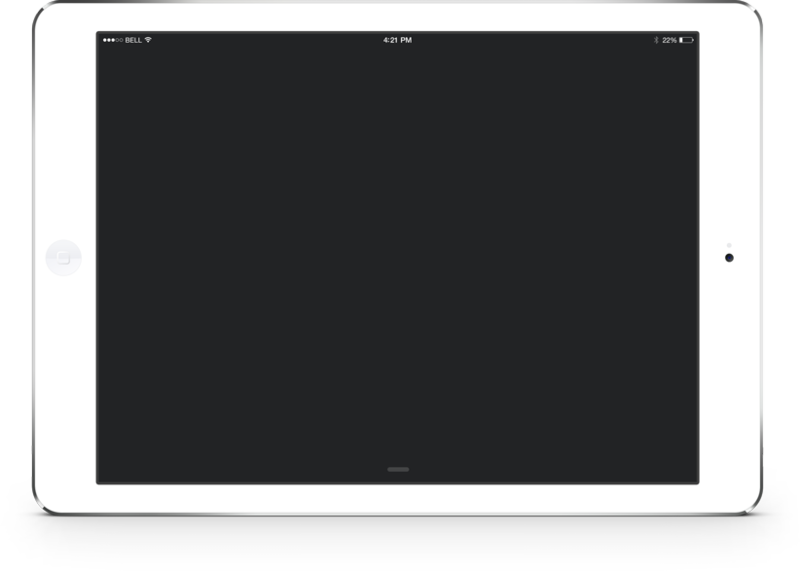 RxPhoto is a HIPPA-compliant, password-protected app on my iPhone. I can take photos directly on my phone, without using up my personal storage. There is a “photo-ghosting” feature, which displays an overlay of the “before” photo so I can line up the patient’s features to match the “before” angles/rotation with the after photo perfectly. Additionally, I can put before and after photos side-by-side in the exam room from my phone. I can securely send these photos to the patient through RxPhoto’s patient portal. Best of all, I don’t have to upload photos from a camera at the end of my shift, saving me a valuable hour each day, which I much prefer spending around the dinner table with my family, as opposed to stuck at the office behind a glowing computer screen. RxPhoto offers real world solutions to the problems that come with medical photography: simplicity and consistency. We just hosted our first Cool Event a couple of weeks ago. We required RSVPs and limited the headcount to 10-12 clients. This gave us the opportunity to split up in exam rooms and offer on-the-spot, complimentary consultations. We had wine and cheese during a Powerpoint presentation given by a CoolSculpting provider. 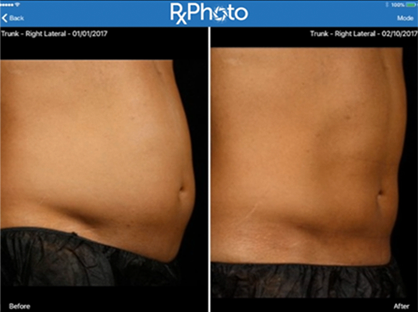 She showed before and after photos inside the Gallery of the RxPhoto App to our new clients. Then, we opened the floor for questions. After a relaxed Q&A format, we took the attendees to one of our exam rooms, where a staff member was hooked up to the CoolSculpting machine, receiving treatment. Seeing the treatment in person was exhilarating to the attendees. We also offered an incentivized price to all attendees if they booked that night. Our sales in one night were equivalent to our sales from the previous month. These events can be pushed through social media and your existing clientele e-mail list. It’s not hard to find 10 people who are interested in removing unwanted fat! Your CoolSculpting rep will be happy to help with catering/planning/treatments for staff members. 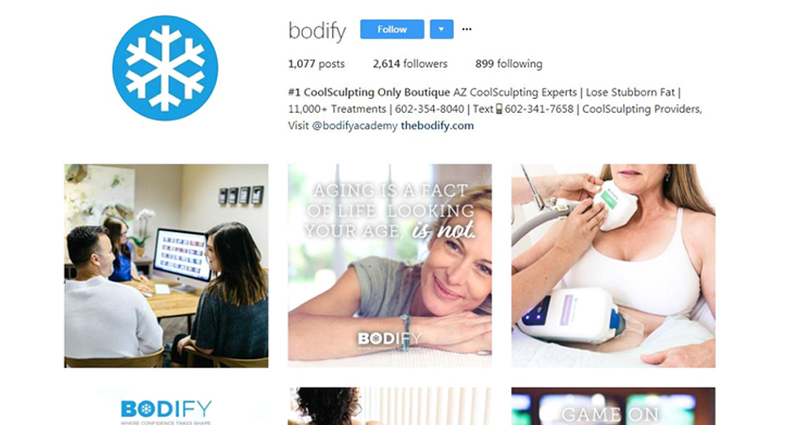 CoolSculpting was recently acquired by Allergan, which means way more visibility and marketing, paid by Allergan instead of you. Take advantage of their marketing resources and amp up your website! Explain the procedure on your website (for a good example, check here: This increases your odds for coming up in the search results. In addition to a healthy before and after photo gallery on your website, post before and after photos regularly on social media feeds. For great social media ideas check out the Instagram account @Bodify. This practice is a Cool Sculpting-only boutique. They post frequently with informative and engaging material. Finally, make sure you are a certified CoolSculpting practice, so when patients search the CoolSculpting.com website, your practice has the designated logo establishing certification. We all know the best advertising is word of mouth. Incentivize your patients! At our practice, every new patient spending $400 or more receives $50 off their service, and their referring friend gets a $50 credit. I’ve had patients schedule together, and have seen my friend (and existing patient) literally receive a free Botox treatment with referral credits, by bringing 5 new patients to our practice. The investment is well worth it, plus, the referral discount makes your patient feel like a VIP. When people start seeing their CoolSculpting results, they’ll want to show them off. If you have securely sent the before and after photos to the patient, they can easily pull them up on their phone and advertise for you while socializing with their friends and family members. RxPhoto has another feature that I use frequently for side by side comparisons. I simply click the before photo, and click the after photo, and the website generates a practice-branded PDF with the two photos side-by-side, with corresponding dates, and our office logo already attached. 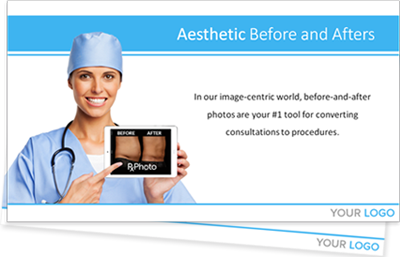 There is no better advertisement than a happy patient showing their before and after photos to potentially new patients. Even when it’s incentivized, the amount “lost” on referral discounts pales in comparison to traditional advertising methods. I know this isn’t news, but your front desk staff member is your most valuable resource. Aside from converting calls to office visits, he or she also has patients in the waiting room at his or her disposal. The best-case scenario is to have your front desk staff member treated with CoolSculpting, and so proud of his or her results, they want to showcase them. Again, this is a perk of working for you, but also earns you more money. A patient is much more likely to book a CoolSculpting treatment at your practice if he/she hears “Here is what my arms looked like before, here is after 1 session, here is after 2,” etc. First hand testimonials are much more personal than looped videos playing in the background. Crossover your patients and upsell to your existing clientele! If you have a patient in for laser hair removal or Botox, they absolutely ought to know about your fat reduction system. They might not know to ask. The right front desk person is a staff member who has tact and enthusiasm. The more you allow them to be treated (all reimbursed by CoolSculpting), the more enthusiastic they will be. The “selling” will hardly feel pushy, because their genuine enthusiasm is what will be felt by the patient.